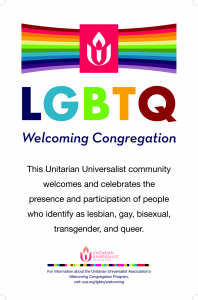 How do people of diverse beliefs become part of one congregation? “UUFOM and You,” led by Rev. Connie Grant and representatives of the Welcome and Engagement Teams will be held on Saturday, November 10, 9AM – 12PM.